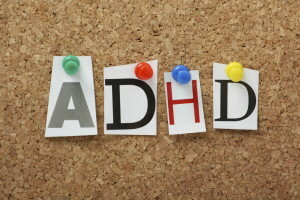 Clinical trials for attention deficit hyperactivity disorder (ADHD) are helping to improve the diagnosis and treatment of this condition in both adults and children. New ADHD clinical trials are looking to measure the effectiveness of available drug treatments, applied behavioral therapies, and/or combined approaches. Noteworthy clinical trials have even examined the roles that exposure to lead or neurotoxins, and psychosocial scenarios could potentially play in triggering this medical condition. If you are interested in enrolling in an ADHD clinical trial, then you may be among the first to receive an experimental treatment not available anywhere else. That being said, these therapies are still experimental, so there is no guarantee that it will produce a positive effect. If you have exhausted the more conventional treatment options for ADHD, then participating in a clinical trial can be a viable option worth considering. Attention deficit hyperactivity disorder is a neurobiological disorder typified by inattention, developmentally inappropriate impulsivity, and hyperactivity (though not in all cases). To clarify, anyone can get fidgety after sitting still, be inattentive, and display some impulsive tendencies. However, for some adults and children, these issues are so persistent and disruptive that it starts to interfere with their daily lives at school, work, at home, and in social situations. For a long time, the prevailing theory was that children with ADHD would outgrow during adolescence, given that hyperactive symptoms usually diminish during these years. Research has shown that many of these symptoms can continue into adulthood. If ADHD is undiagnosed, adults may struggle with issues at work, in relationships, as well as some emotional difficulties. If you have ADHD, you can still live a happy and successful life, but serious problems can arise your condition is not identified and treated properly. Consequences could include inability to complete assignments at school or work, disorderly conduct, substance abuse, broken relationships, and depression. Early diagnosis and treatment are essential. Treatment applied to adults with ADHD will involve a more comprehensive approach. What this means is that a team based approach usually works best. This team will include medical professionals, the ADHD patient, and their loved ones (spouse and members of their immediate family). Learning how to structure one’s environment, as well as vocational counseling are important. If you have been diagnosed with ADHD, you may also want to look into short or long-term psychotherapy. In some cases, medication may also play an important part in the patient’s prescribed treatment plan. Adults have reported that these drugs have helped them obtain more control over their ADHD symptoms. Hugo W. Moser Research Institute at Kennedy Krieger Inc.